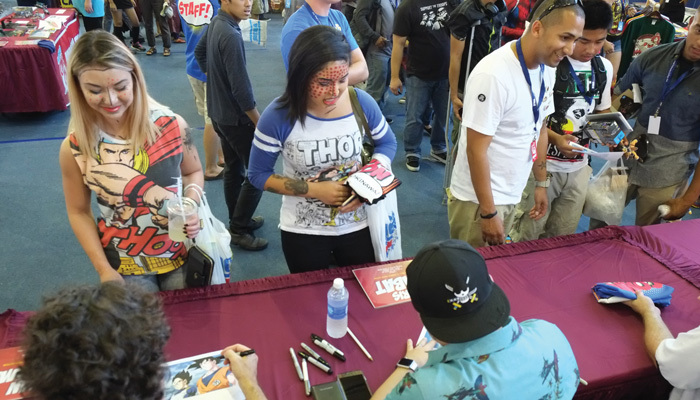 MCCS invites comic book connoisseurs, film geeks, Poke Masters, level 38 Sorcerers, artists and art aficionados, gamers, cosplayers and everyone else out and in-between to a one-of-a-kind experience: Comic Con Okinawa 2016. Anyone interested in anime, manga, video games, comic books or fantasy novels will sure find something interesting at Comic Con Okinawa. Besides exposing the latest trends in the genre, the event is a great opportunity to meet like-minded people to discuss, debate and gush over your hobbies and interests. This year’s event will span across the Camp Foster Fieldhouse, Ocean Breeze and Community Center buildings on Oct. 15 from 10:00 to 18:00. 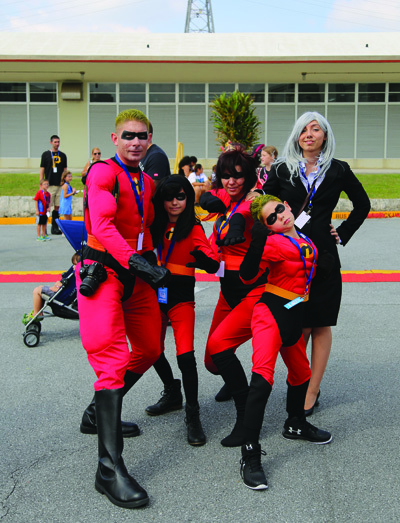 Organizers guarantee Comic Con Okinawa will have something for everyone, no matter where they fall on the comic fan spectrum. At the Fieldhouse, there will be Pokémon and Magic: The Gathering card tournaments, art and cosplay contests, video games and more. The Ocean Breeze will have discussion panels throughout the day featuring Maile Flanagan, Justin Cook and Chris Sabat. Other activities include an anime discussion panel, Virtual Reality Center featuring Oculus Rift, Kiddie Kingdom, performances by the III MEF Band and much more. Budding artists will have an opportunity to display their work at the Artist Alley and for those who prefer to wear their creations, the Cosplay contest will be the biggest attraction. Contests will take place throughout the day with various prizes up for grabs. Food vendors are also stand-by in case the day’s activities require extra energy. The Comic Con 2016 is open to U.S. ID card-holders and Japanese nationals. The access for local national is through the auxiliary gate on Highway 58, the same as used to access the flea markets. The gate will be open from 09:00 to 19:00. Admission to the event is free. This is a gathering of those daring to go where few men and women have gone before, offering a fantasy fortress to examine all things relating to science fiction and fantasy comic books, graphic novels and movies. For more information and details, call 645-5828, 098-970-5828, or visit the website.